It was mentioned in a comment from Jean-Louis (merci, monsieur) in August that it might be a good idea to address travel attire. I had posted (and received so many great contributions from our readers) on the Back To School Wardrobe for Old Money Guys and Gals, but I’d never thought to write about what to pack and wear when one hits the proverbial road. For me it’s always been Throw and Go. Not that I’m unaware of travel attire every time I board a train or plane here: poorly and barely dressed, ghastly and ghostly travelers are everywhere, all the time. I know they aren’t that impoverished because they’re traveling, for God’s sake. I long to drop into a dream sequence that places me on the Orient Express with a cast of non-violent Agatha Christie characters who dress well, know and practice good manners, and enjoy sparkling conversation. But we’ll agree at present to climb one mountain at a time, and simply address the issue of Travel Attire. Not surprisingly, my suggestions won’t vary from the tried-and-true Old Money wardrobe of button-down oxford cloth shirts, wool or cotton sweaters, khakis and blazers. I do advocate, especially for travel in spring and summer, the 100% cotton polo pullover. Lacoste, Ralph Lauren, Brooks Brothers, Lands End, and LL Bean all make comparable models of this classic. You really can’t go wrong with a navy blue, forest green, and burgundy ensemble of these, ready to be tossed in a duffle bag at a moment’s notice and carry you through whatever adventure’s a three-day weekend might hold. I opt for dark, solid colors, but the inevitable pink or lime green will make it’s way through an Old Money closet on a regular basis. The Essential, Eternal Polo, for Old Money Gals and Guys on the Go. If the weather turns cool, you can toss a cotton or wool sweater over the polo. If you want to go full-retro Official Preppy Handbook with the look, you can put a button-down oxford over the polo, and then a sweater over that, and then a blazer over that. Layer up till your heart’s content. Just remember to throw at least a sweater over your shoulder before you board the plane: the cabin can get really cold on long flights, for some reason. Now, hold onto your leather armchairs…I’m going to also go half-blasphemer here and recommend, especially for international travel, denim jeans. I have good reason, based on recent observation. Pickpockets love them some baggy khakis on American tourists, to quote a very funny friend of mine. And they do. I encourage all my male friends who come to visit to bring a pair or two of jeans, put the wallet in a front pocket, where it’s snug and almost impossible to steal, and casually rest a thumb inside same said pocket, just to be sure. The Heretic, in Verona, in jeans. I’ve watched pickpockets here in Paris and Rome attempt to relieve unsuspecting tourists of their wallets, and almost succeed, numerous times. The target is always an American or Brit with full cut khakis and their wallet in the back pocket or even in their front pocket. The khakis and cotton pants have the front pockets cut on the the seam, vertically. This gives a pickpocket too much access. It’s just not a plan. As reluctant as I am to do it, I’m going to suggest a pair of Levis five-pocket jeans for travel, at least for the men, when visiting a pedestrian city. Footwear is key: it has to be comfortable, versatile, and durable. Sturdy brown walking shoes with rubber soles fit the bill. They can keep your feet comfortable all day long and then be acceptable in a restaurant at night. The younger set here in Paris and in Verona opt for Adidas sneakers with three stripes on the side and a tough-as-nails sole underneath to absorb the shock of cobblestones and metro stairs. Your call. The blue blazer will serve you like a faithful servant, with inside pockets for passports and airline tickets. Tweed jackets in cooler weather, and I have come to admire the North Face three-quarter length all weather coat for rainy and cold days. For me, the fur trim hood is easier to operate than an umbrella. The coat is lightweight, warm, and water-repellant. Navy blue is the go-to color. Check ’em out before the weather turns really cold. Warm and Dry in a North Face Parka. In summary, if you’ve purchased a traditional Old Money wardrobe to start with, you’re in for some easy choices when you throw open the suitcase and begin to pack. Most of your clothes match most of your clothes, color-wise and style-wise; natural fabrics that wear well are universal; it’s easy to be dressed well without dressing up. Welcoming your experiences and comments, as always. What an excellent post. I was pickpocketed in Naples but I was warned ahead of time so I only had about 25 euros in it and no credit cards or other personal ID. I, too, was wearing the aforementioned baggy shorts, but never again. Now any money or credit cards are in a pouch around my neck inside my tucked-in shirt. Carry only what you may need for that one day and leave your passport, etc., in the hotel or ship. The clothing recommendations are, of course, brilliant. Exactly how my husband and I dress to travel Byron, as did my parents! Such words of wisdom. 1. I may opt for LLbean rather than Levis. It may be different now but a number of years ago Levi’s cost more in Europe than in the US. When I worked in Germany and the Nederland’s I found it funny on casual Friday because a lot of my co workers would be wearing skin tight Levi’s as a status symbol. In short Levi’s may draw attention. 2. 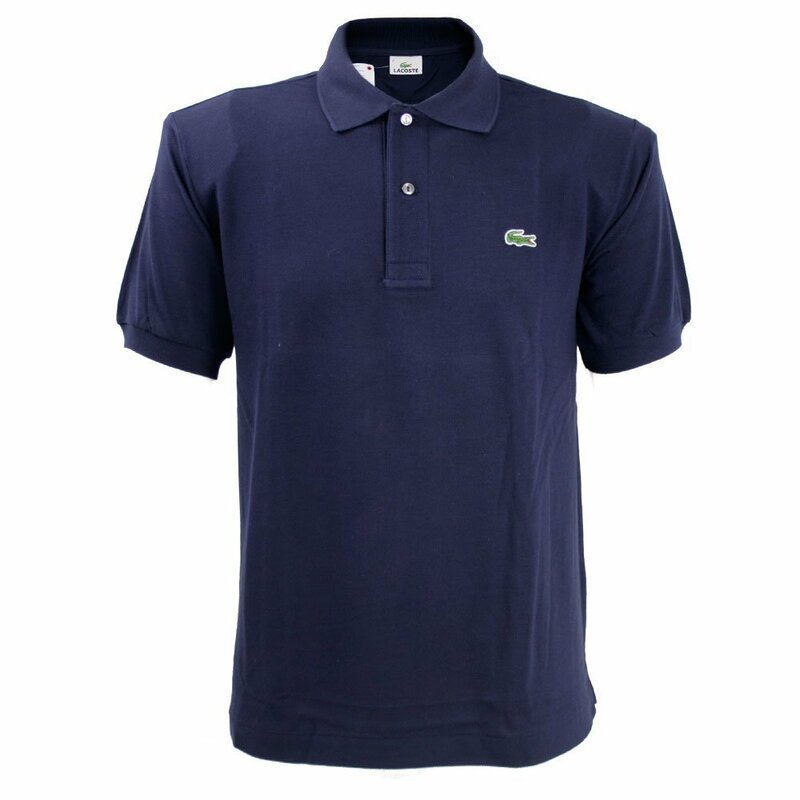 Out of all of the Polo shirts mentioned I just love the Lacoste the fabric breathes. When I am in Asia I find the shirt handles the heat quite well. I always size them up a couple sizes in case I leave them in the dryer too long. 3. A great walking shoe is from a USA company called the San Antonio Shoe company. They are very discreet but it feels like you are walking on a cloud. As most people who work in NYC I walk a couple miles a day and these shoes helped my sore knees. 4. 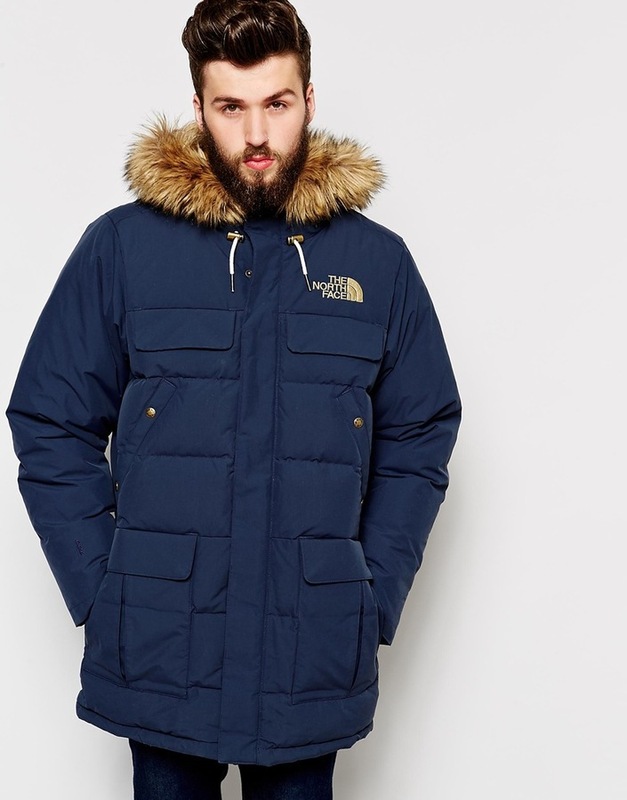 The parka is beautiful but since I’m a bit frugal I would opt for the LLBean version since I can always get it replaced for free if it gets damaged. Having a knack for stating the obvious, I would like to remind all that jewelry should be left at home. Maybe a thin wedding band, and the trusty Timex, but the less the average criminal can gleen, the better. I also pack my own small pillow, a thinner-type wool shawl for versatile comfort (think scarf and head-covering, too), cotton t-shirts for layering, cotton and wool socks, jeans, comfortable leather shoes and bag, and sunglasses. Great post, Byron. I’m printing it and using it for our next overseas vacation. Also, I know it is not overseas, but I traveled to San Diego this spring with a Lapacker Travel Checkpoint Friendly Backpack and a small travel organizer for my carry-on, etc. The backpack is designed so the laptop and the organizer are in a zipped area BEHIND the straps, nicely nestled snug against my back. And it unzips and folds flat so you don’t have to take the laptop out at airports. It is now my go-to pack for traveling now. A nice surprise, indeed (wink). I like to travel light and pack clothes that I would normally wear, which fit your suggestions. I also agree that the stereotypical tourist attire is often inappropriate. 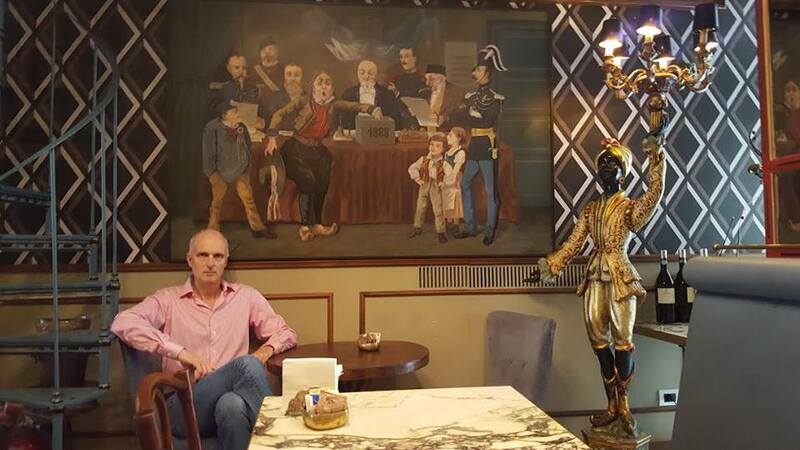 How could one feel comfortable visiting a historical monument or a genteel coffee house, wearing the proverbial shorts and flip-flops? – When travelling in colder weather, an insulated vest that can be worn under a tweed jacket or (trench) coat. An OMG, writer-director, who has been mentioned here, does the opposite: down jacket on top of a sport coat. It works in his case. – A dark blue fleece neck gaiter (another heresy, perhaps), when a wool-cashmere scarf is not practical. Simple, yet incredibly warm. Easily stored in a pocket when weather clears up, or when stepping on a packed bus or metro. – Brown Chelsea boots, with rubber soles, for autumn and winter. Irish brand. – A small leather credit card holder, carried in a front (or inside) pocket. Finally, I always leave some space for a few books and magazines. I have been traveling very often for business for two decades now, including three trips abroad, and one thing I have decided are indispensable – and which do not add weight – are slippers. They turn a 2 or 3 star hotel into a four star — at lease the carpet. I travel frequently for business, and I find that mid rise, dark rinsed, boot cut jeans and a good blouse can easily go from airplane to coffee shop, hotel lobby, or other destination especially when paired with a scarf or jacket. I skip boots with heels for air travel because the metal in them can alarm and slows your progression in the PreCheck line. Ballerina flat can stay on for US precheck. What I fail to grasp is why anyone would want to wear tight fitting, low rise pants that show way too much when you are doing all of the inevitable bending and lifting to move luggage on a plane or in an airport. I see it all the time and it never fails to amaze me. When I was young, we dressed to travel. Now we walk through the airport in yoga pants and pajamas. Yes. However, wandering around the world I can spot American across Stephansplatz, Piazza San Marco, or whatever the place. You wear “American uniform” which is recognizable and attracting many eyes. Just look at khaki skirt. Nothing against khaki skirts, but have you ever seen European tailor making skirt like that? Or let’s look at LLB, RL …… Bob mentioned San Antonio Shoe company. Nothing personal, but only Americans wear them. We can go on and on …..
My advice is simple: If you want to live with Romans, dress as Romans do. Blend in to the crowd. Do not be observed, observe instead.